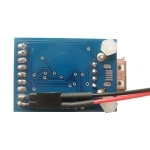 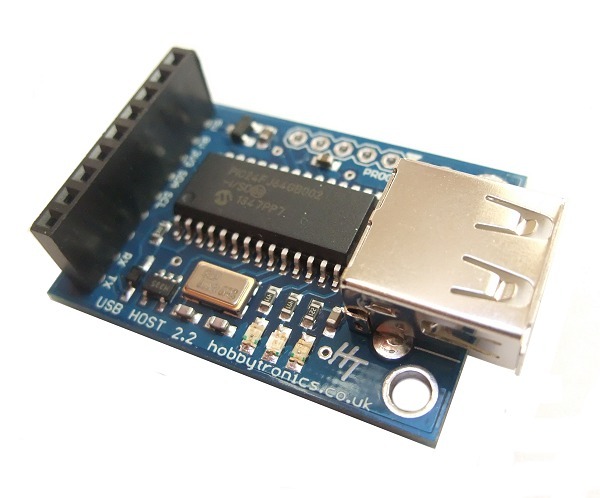 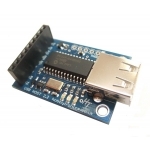 All of the software available for our USB Host board allows for the data to be output via the serial port. 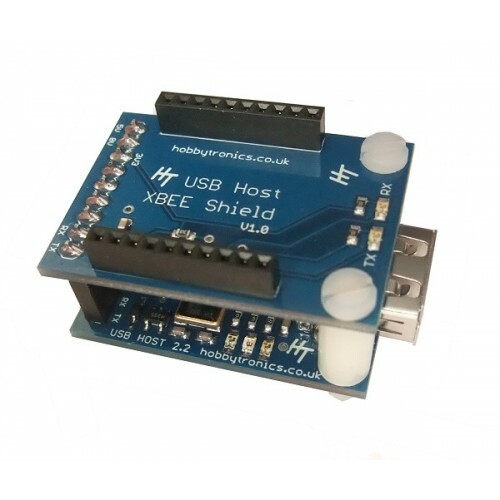 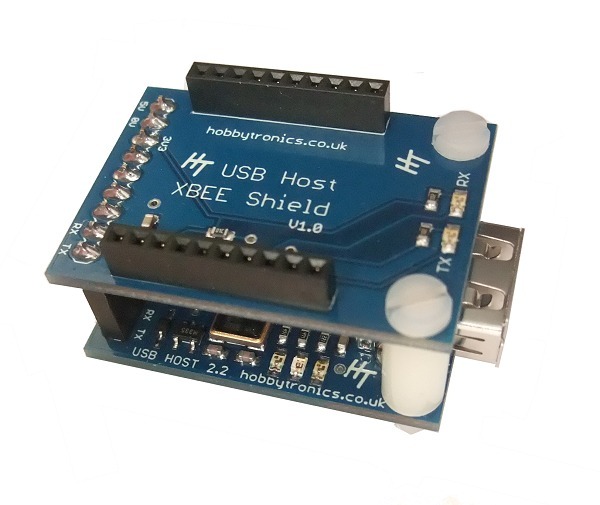 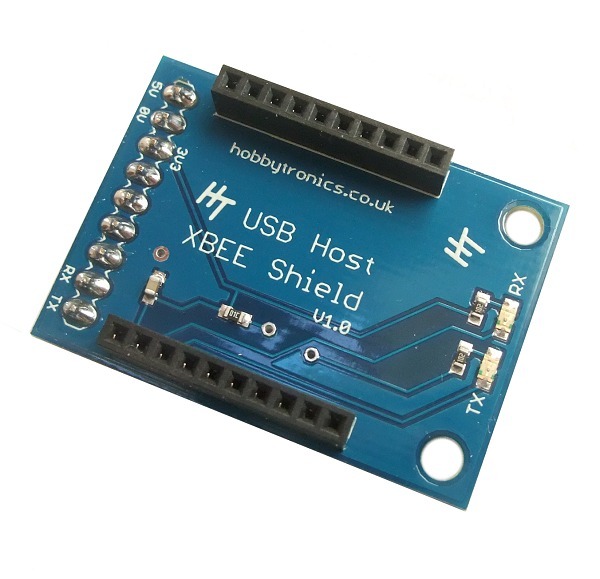 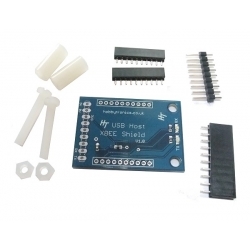 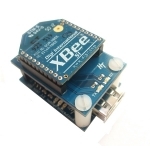 This add on XBee Shield kit allows you to easily add an XBee radio into the mix to transmit this data stream wirelessly. 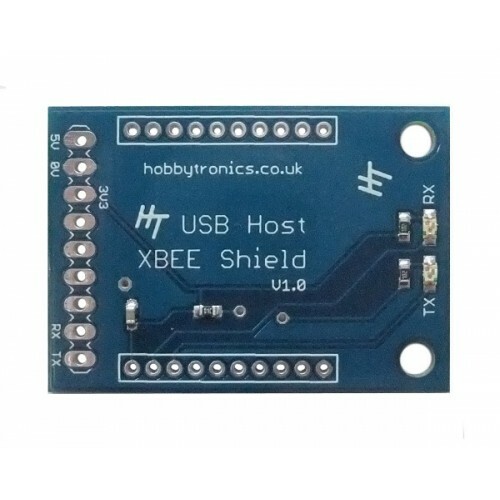 This is especially useful for the PS3 Dualshock Controller software which can turn your PS3 controller into a long range transmitter for UAVs and robotics projects, but could be of use for any peripherals that we have software for. As we don't have a 9-pin female header socket (no-one seems to sell them), we have supplied a 10 way socket. 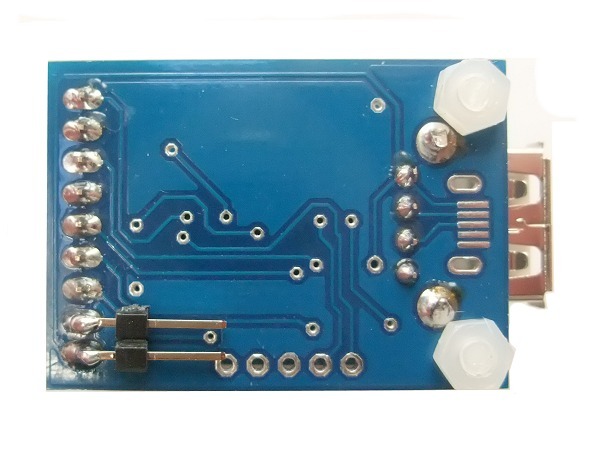 Using a sharf knife cut off the end socket. 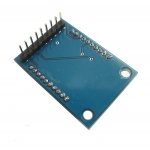 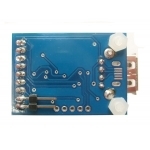 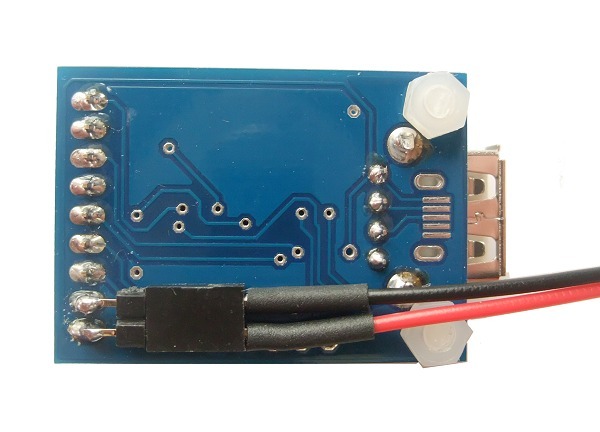 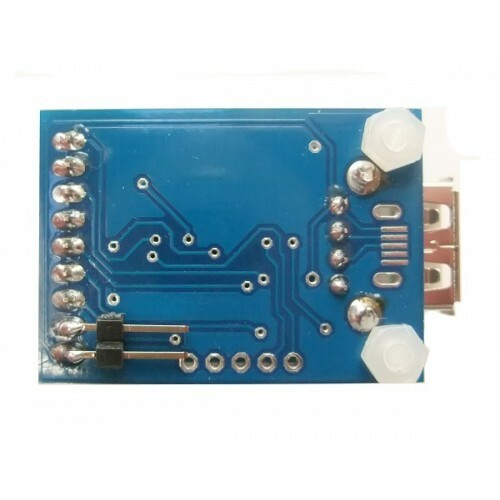 This can then be soldered to the USB Host board (not supplied in kit).